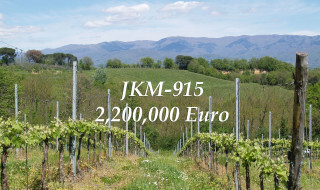 JKM-906 Agritourism with 14 beds, restaurant and private house with two apartments in panoramic and hilly position. 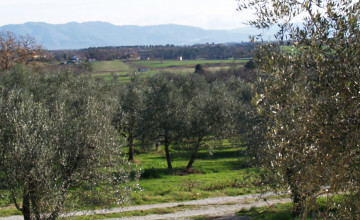 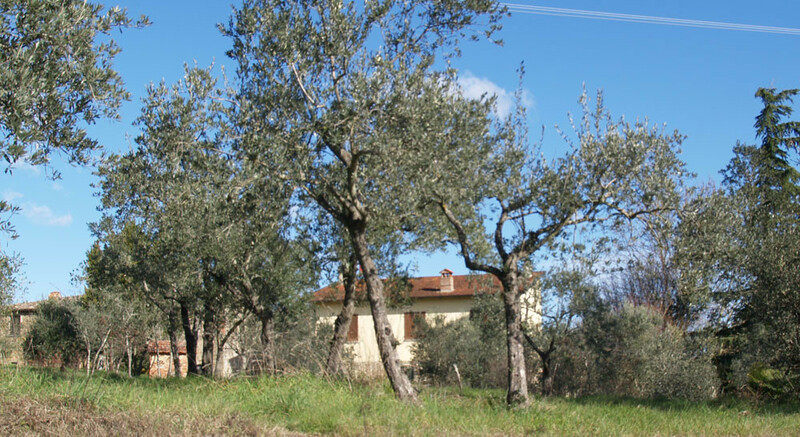 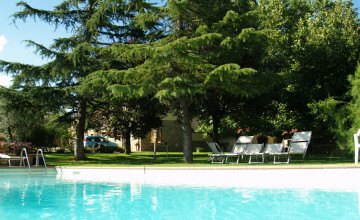 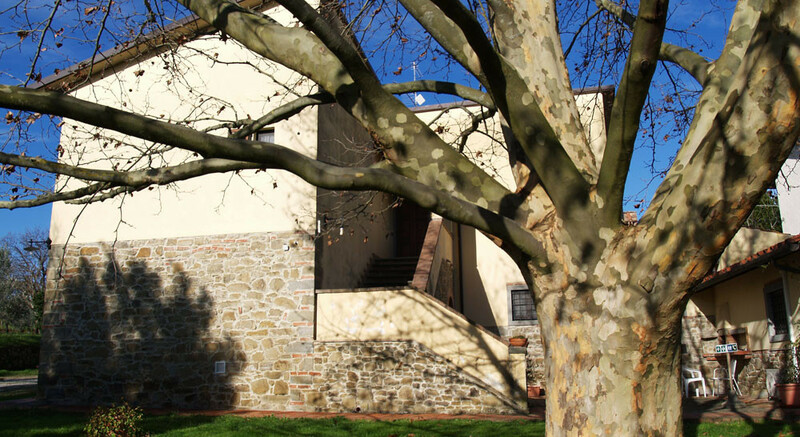 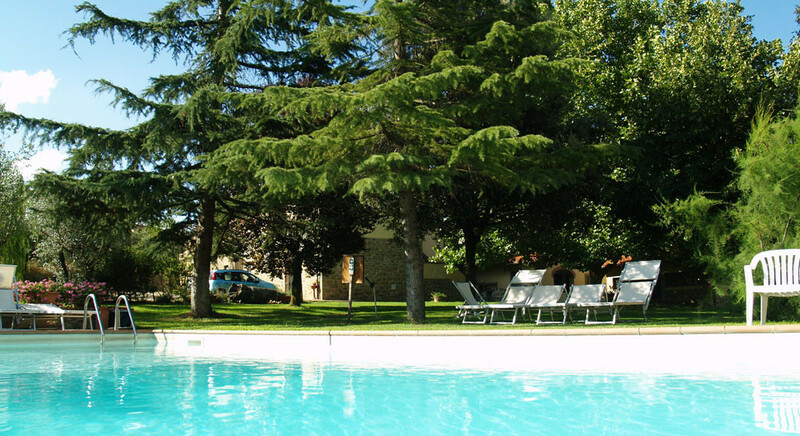 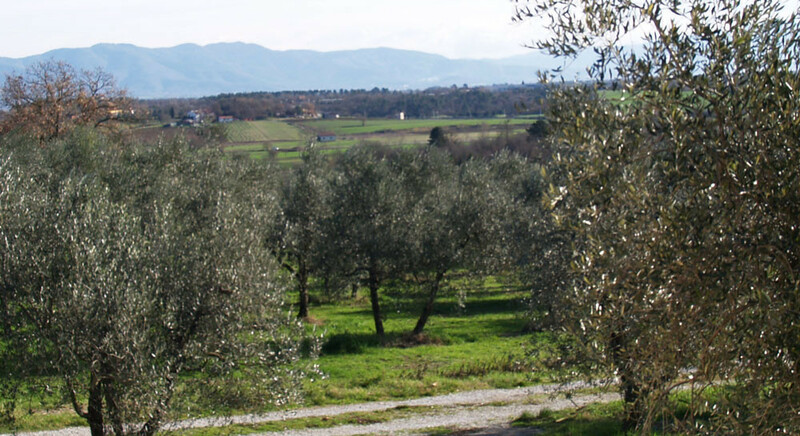 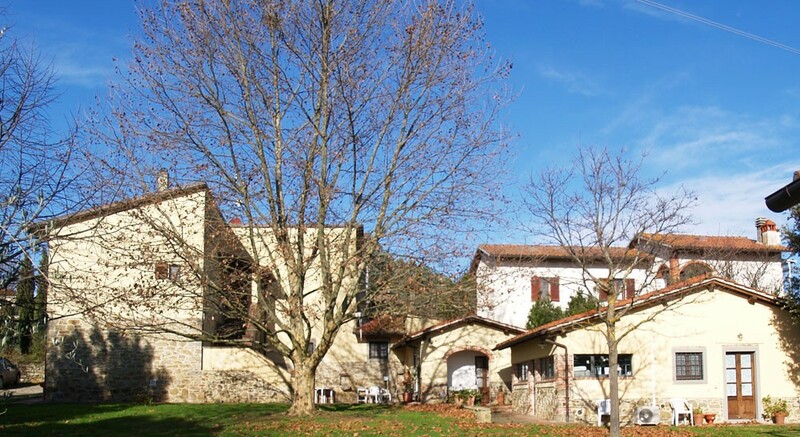 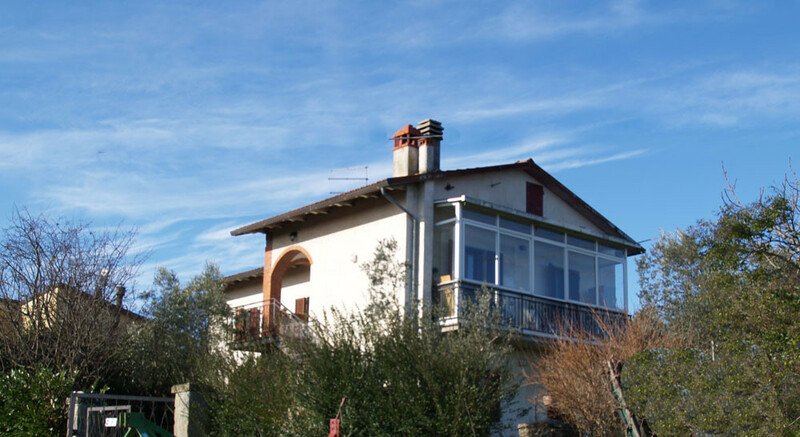 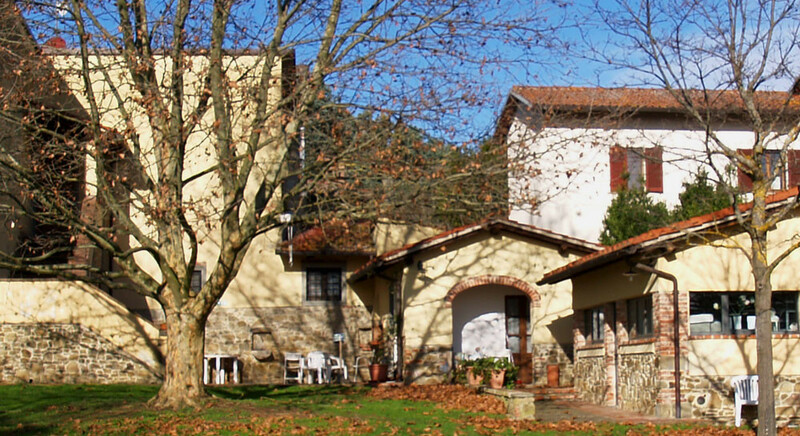 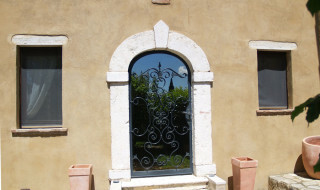 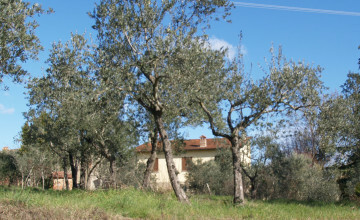 The estate is located in hilly and panoramic position between Civitella in Valdichiana and Monte San Savino. 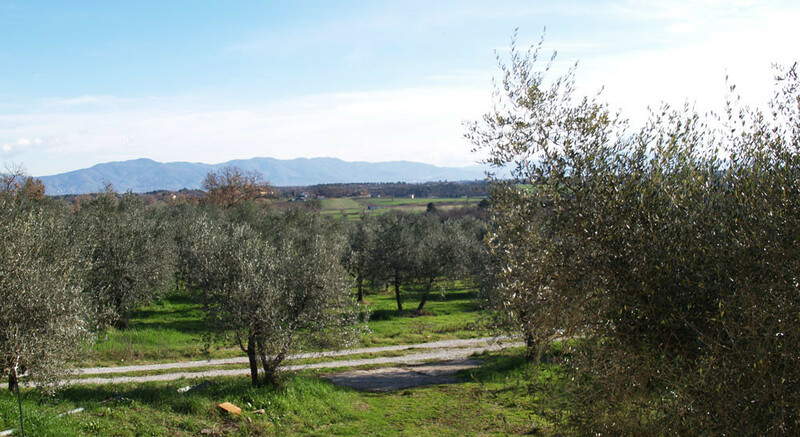 It measures 17.3 acres with 3.7 acres of vineyard, 3.5 acres of olive groves, woods, plantation of trees for wood and arable land. 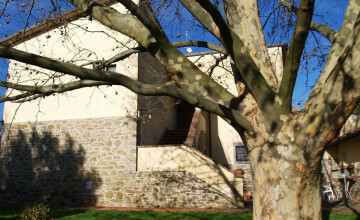 There are six buildings which form a kind of hamlet. 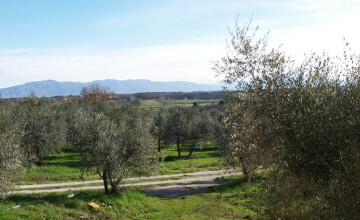 The total surface amounts to 6245 ft2 (580 m2). 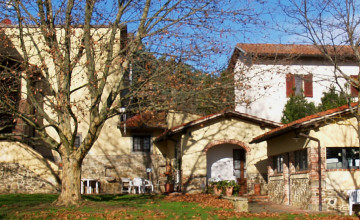 The most recent building divided into two apartments is used by the owners. 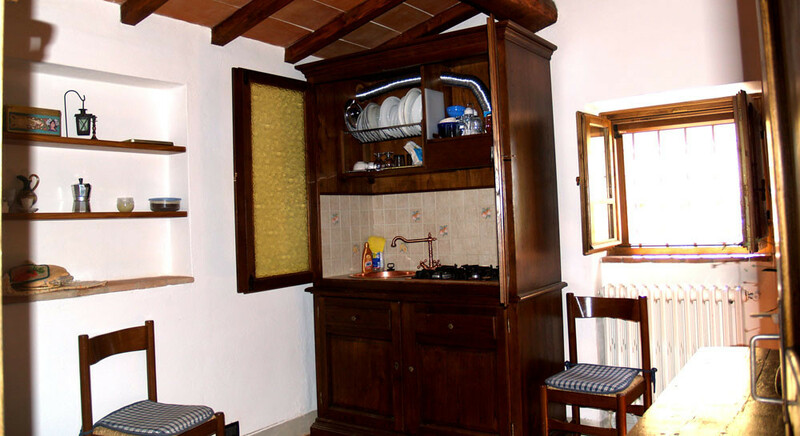 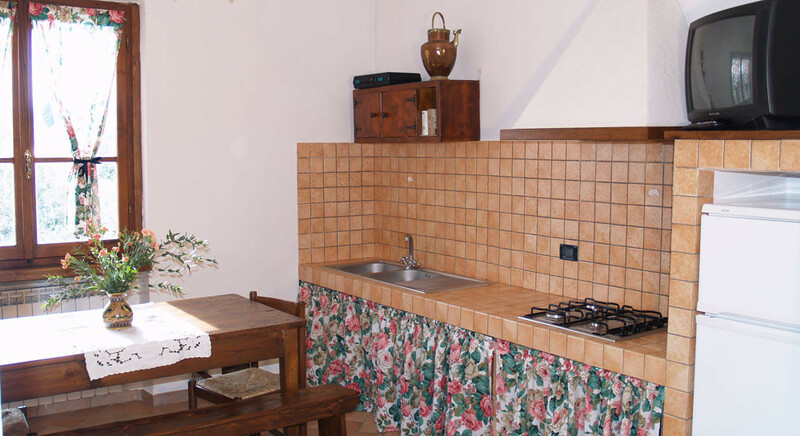 The remaining buildings are used as agritourism and include a 30 m2 (322 ft2) building with bedroom, bathroom, living room with kitchenette and portico. 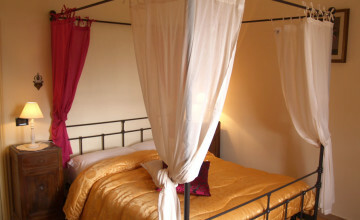 The second 50 m2 (538ft2) building is divided into two en-suite bedrooms and linen deposit. 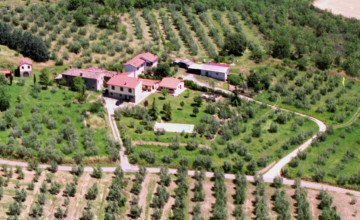 Third building measures 130 m2 (1399 ft2) and has two levels. 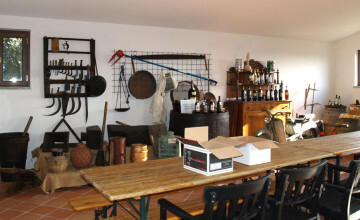 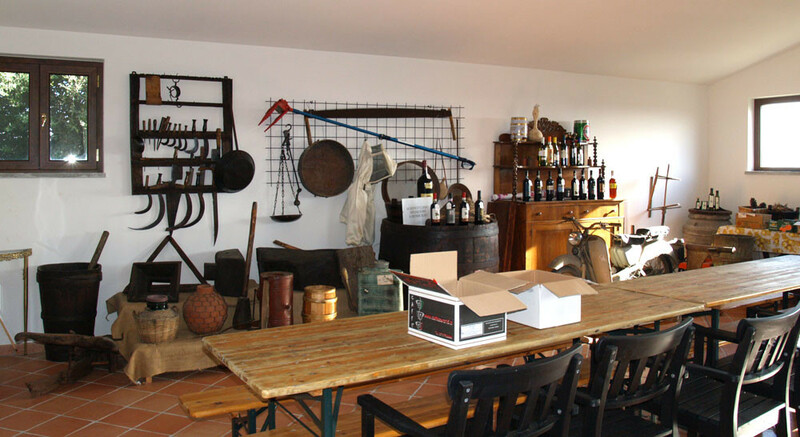 The ground floor is used as exposition of local products and a small museum of agricultural tools. 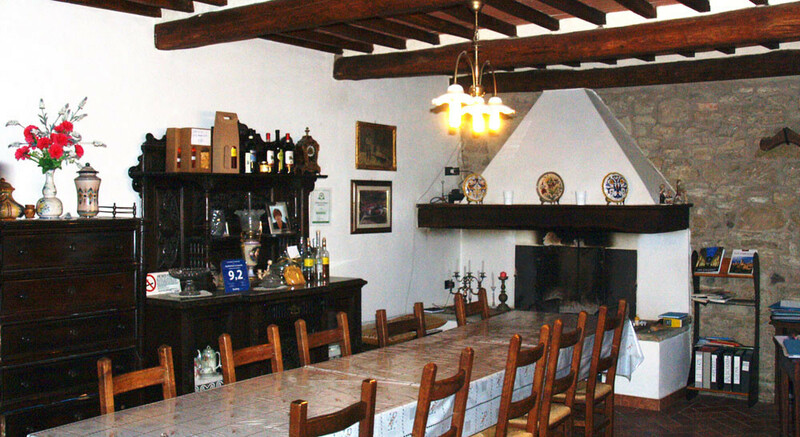 The wine cellar and garage are located on the lower level. 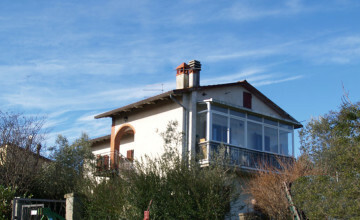 The biggest building is also on two levels. 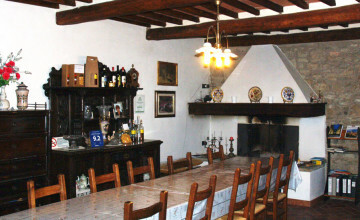 The ground floor features a large 94 m2 (1011 ft2) sitting room with open fire place, used as breakfast room and restaurant, large kitchen, two bathrooms, store and entrance hall. 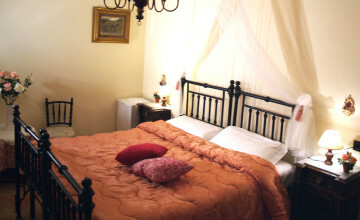 First floor is divided into a three bedroom and three bathroom apartment with sitting room/kitchen plus linen deposit. 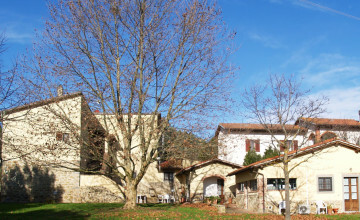 The last building, presently an 80 m2 garage/store could be turned into additional accommodation for guests. 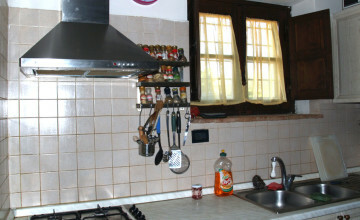 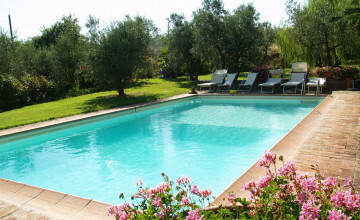 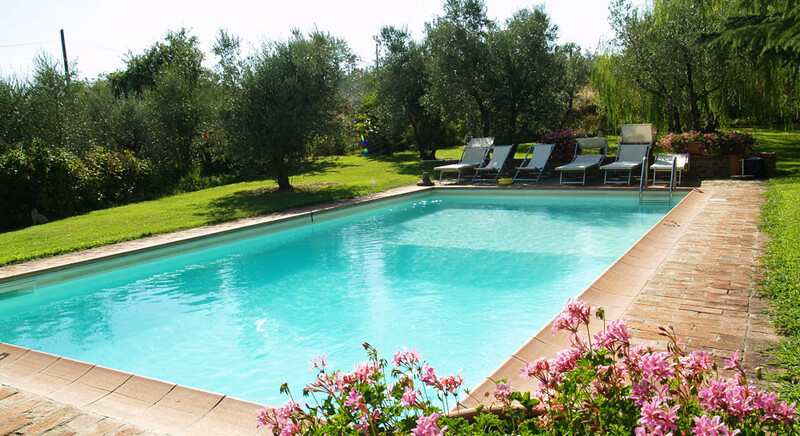 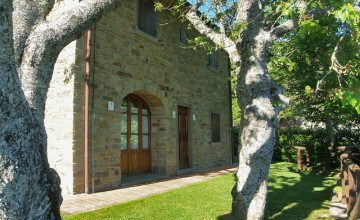 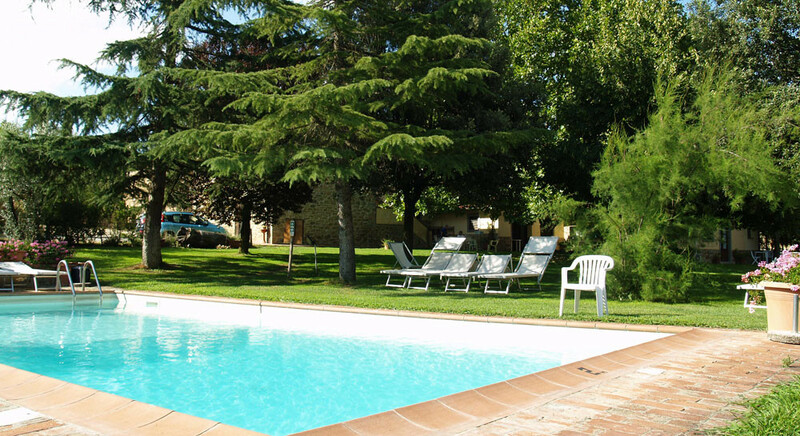 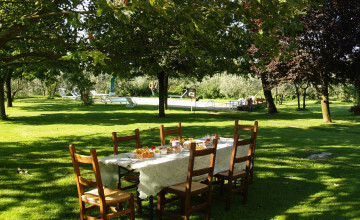 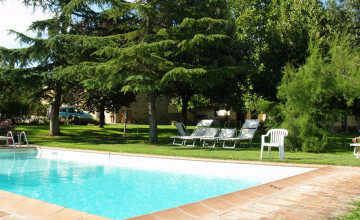 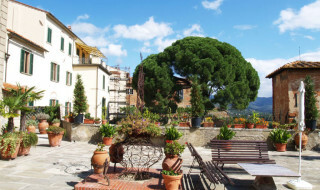 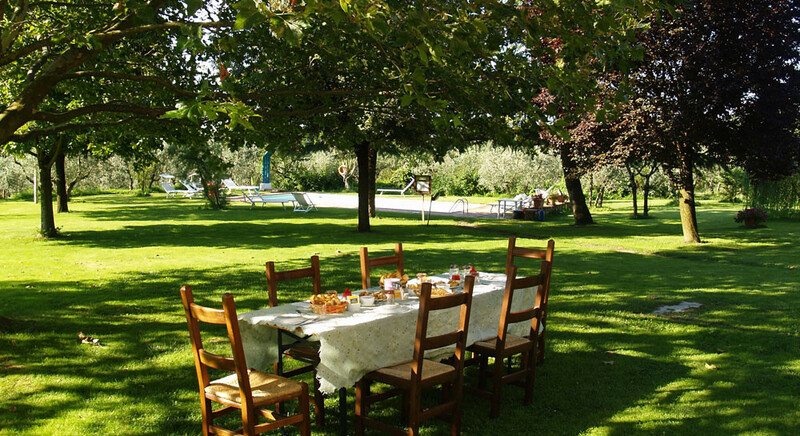 The property also includes two pizza ovens, two barbecue areas, pergola, gazebo and panoramic 10x5 mt swimming pool. 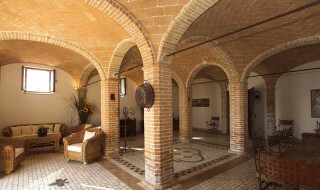 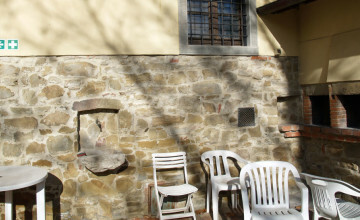 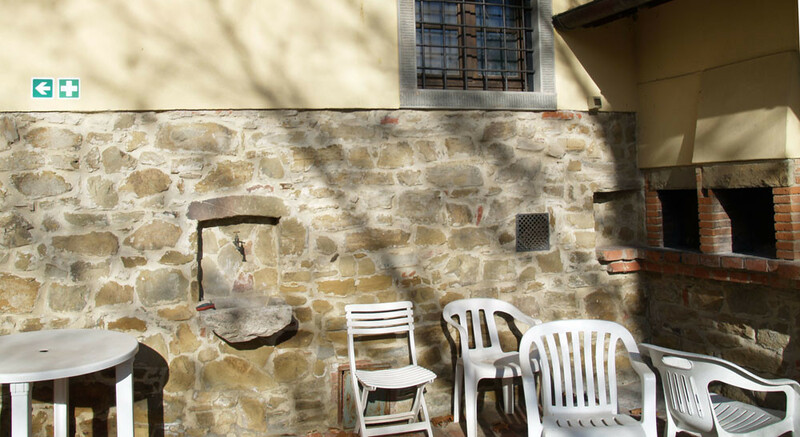 Accommodation spaces feature exposed stone walls, beams and terracotta floors. 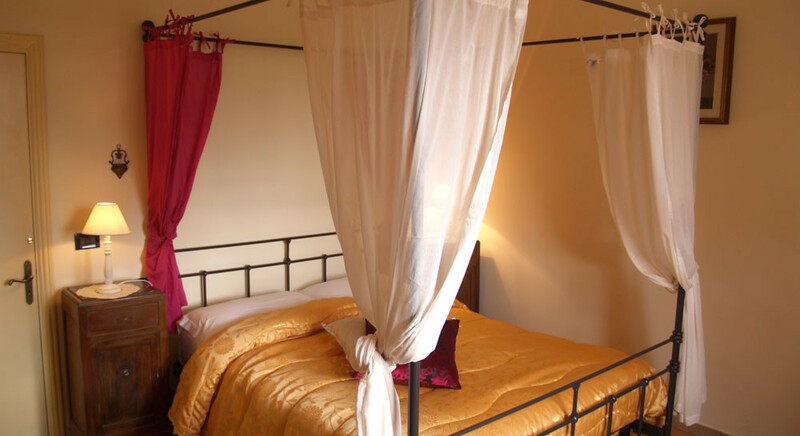 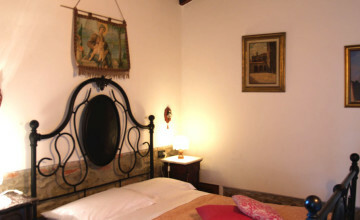 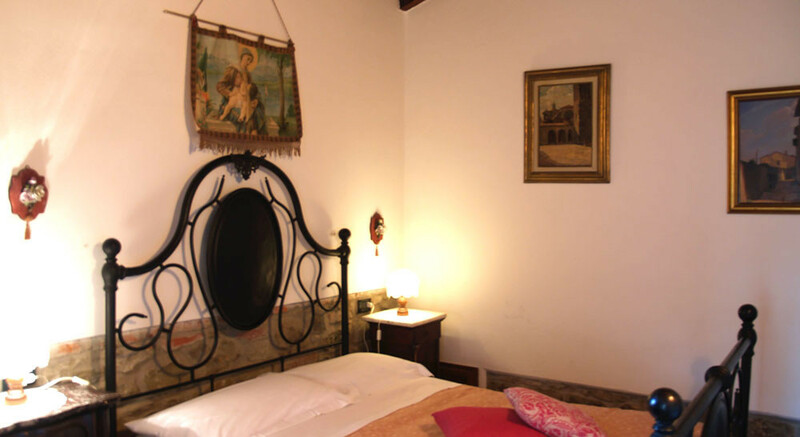 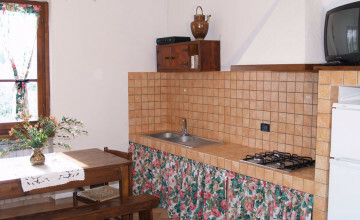 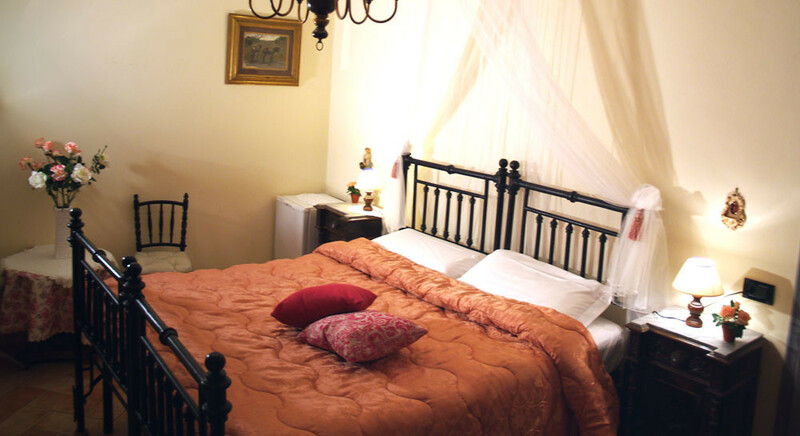 All rooms have central heating and some bedrooms have air-conditioning. 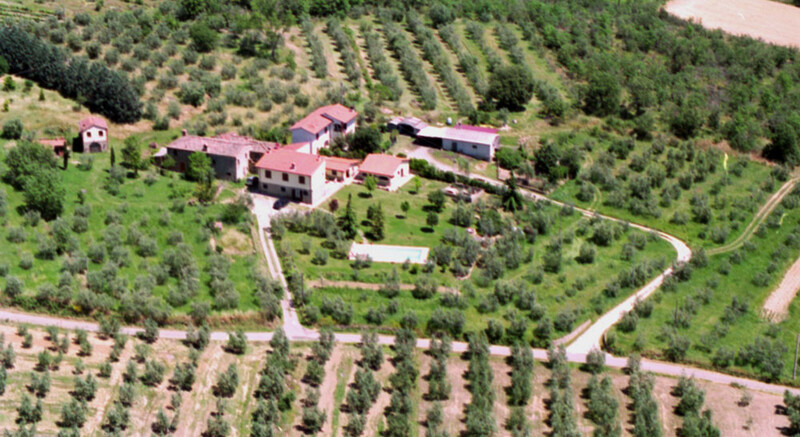 The utilities include two water wells, city water, LPG, Wi-Fi, automatic irrigation system. 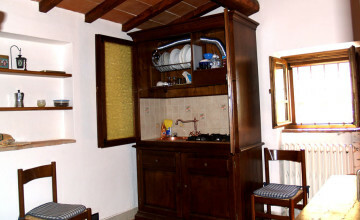 Heating runs on wood (80%), LPG or electricity. 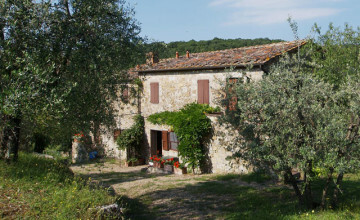 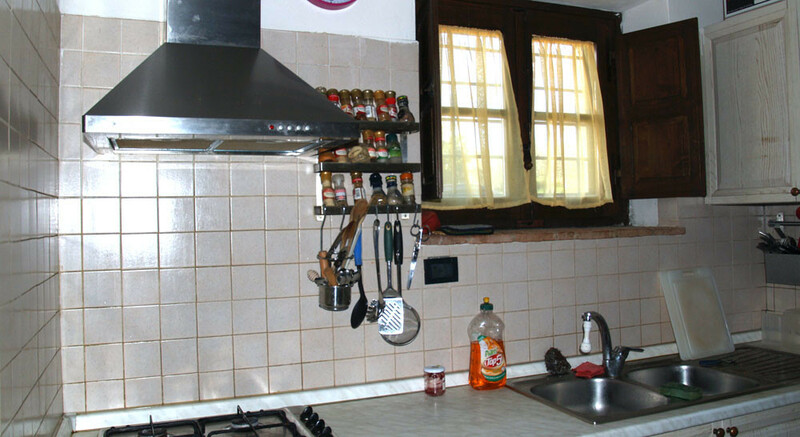 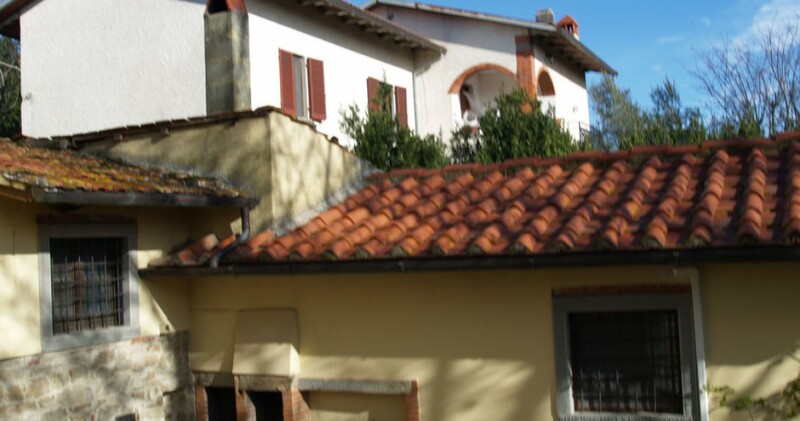 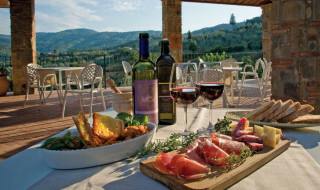 Distances: village with food store and chemist - 1 km, restaurant/pizzeria 2 km, Civitella in Valdichiana - 4.5 km, Monte San Savino - 6 km, Arezzo - 20 km, Siena - 50 km, Florence - 79 km (motorway), San GImignano .. 96 km., sea - 150 km.